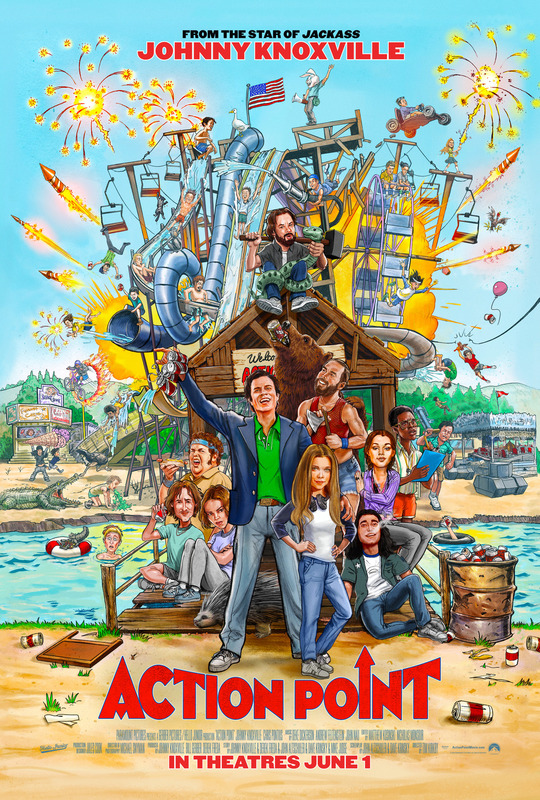 – Though you’d be justified in thinking Action Point was related to Bad Grandpa with it’s relation to both Johnny Knoxville, him playing a grandpa character, and its connection to Jackass apparently this is a completely unrelated story. D.C. is the owner of the rundown and unsafe “Action Point” amusement park that seems to exist just because people have no other options. When D.C.’s estranged daughter comes to visit and he tries to make amends, a new safe amusement park opens near the park and threatens to pull away the meager business that Action Point already has (as it should). Instead of trying to improve the park and make it so more people can enjoy it, D.C. decides to make things even more unsafe and out-of-control in an effort to draw people in with the park being more extreme. The best way for him to come up with things more extreme is for D.C. and his friends to test it on themselves. Honestly I’m surprised that Johnny Knoxville is alive, let alone able to walk after all these movies. – Stars Johnny Knoxville, Chris Pontius, Eleanor Worthington Cox, Dan Bakkedahl, Camilla Wolfson,Johnny Pemberton, Brigette Lundy-Paine, Eric Manaka, Joshua Hoover, Conner McViker, Matt Schulze, Michael Everson, Matthew Peterson, Leon Clingman, and Susan Yeagley. Directed by Tim Kirkby. 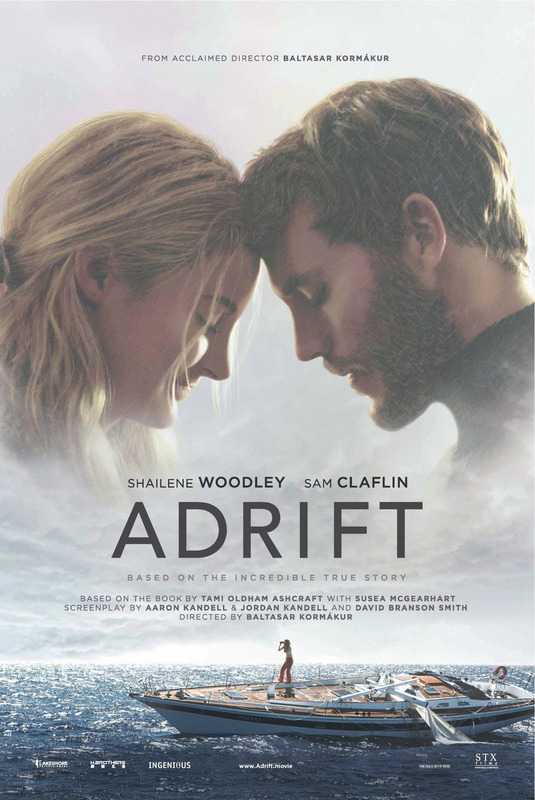 Rated R.
– Adrift is loosely based off of the true story of Tami Oldham and Richard Sharp who were sailing in 1983 and accidentally sailed into a hurricane. While it appears that the movie has them both survive, though Richard is badly injured and they sail to safety, in the real story Richard was lost at sea and Tami had to sail to Hawaii alone. – Stars Shailene Woodley, Sam Claflin, Jeffrey Thomas, and Elizabeth Hawthorne. Directed by Baltasar Kormákur. Rated PG-13. 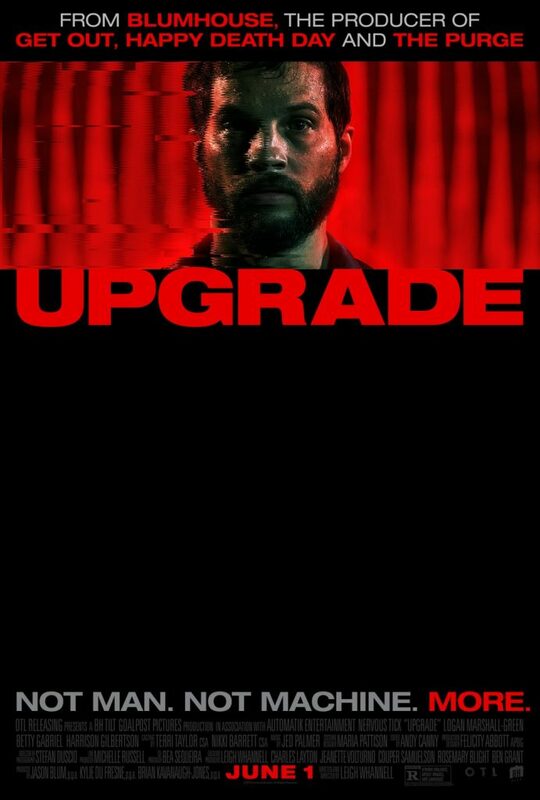 – A very violent sci-fi movie where a mugging and car crash leaves Grey Trace paralyzed and his wife dead. A tech investor offers Grey a chance to walk again with the embedded chip STEM to enhance and help control his body body. But when STEM helps him discover those who killed his wife, Grey wants revenge. With the help of STEM taking over his body, he becomes an unstoppable killing machine, determined to hunt down the real mastermind behind his wife’s death. and Simon Maiden. Directed by Leigh Whannell. Rated R.
« In Theaters – May 25, 2018 – SOLO goes it alone in theaters!